Approximately one-half of the men in the United States are affected by hair loss resulting in a thinning of the scalp hair or baldness. These conditions affect 20% of the women as well. While many people are not concerned about their hair loss, others may feel a loss of self-esteem, become distressed and look for ways to correct their condition. In the past 10 years, there have been major advances in hair restoration for both men and women. No longer does hair transplantation result in the obvious and unattractive “hair plug” appearance. Is Hair Transplantation for You? Heredity is the leading cause of hair loss in men. 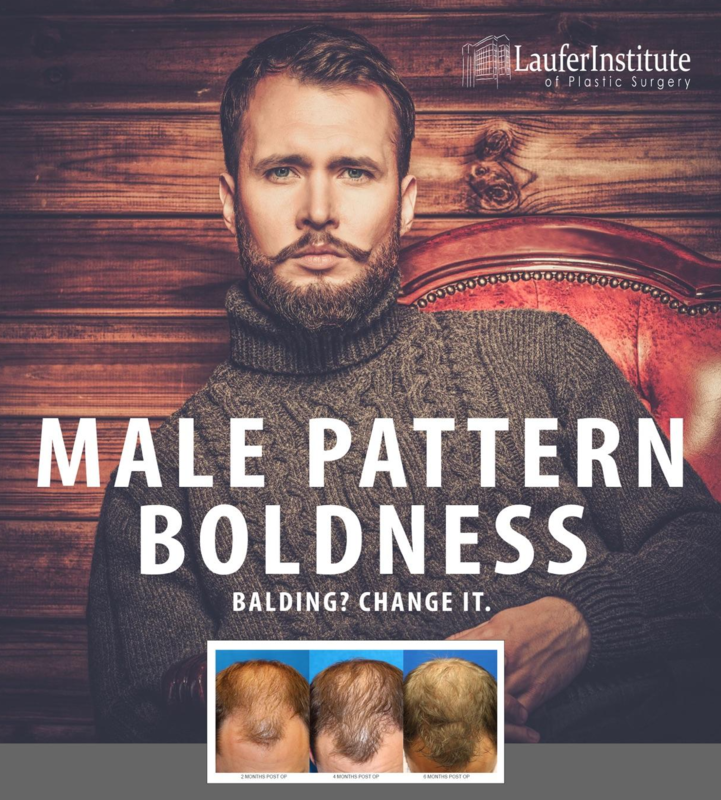 Male pattern baldness is the easiest form of hair loss to correct. It usually begins with a receding hairline or a thinning at the crown and progresses over a lifetime. In women it is hormonal. Hormonal changes include those that occur during menopause and can lead to thinning and pattern loss. Many factors including high fever, severe infection, diet, certain medications, birth control pills, thyroid disease, childbirth and cancer treatments can cause hair loss. Frequent shampooing, the wearing of hats and poor circulation are not the cause of hair loss. The goal is to fill in or recreate the thinning hairline, as well as fill in patches on the scalp where hair loss is noticeable. 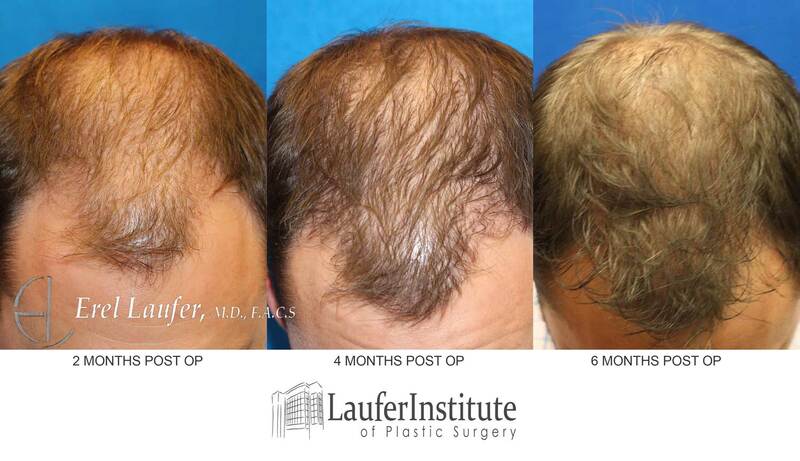 Hair transplantation is actually hair redistribution. Hair is taken from the back and sides of the scalp and transferred to the areas where it has thinned. Natural looking results are obtained by transferring the hairs as very small “micro” or “mini” grafts. There are two primary methods of obtaining follicular units, in naturally occurring groups of one to four hairs, for hair transplantation. Follicular Unit Extraction (FUE). In FUE harvesting, individual follicular units are extracted directly from the hair restoration patient’s donor area, ideally one at a time. This differs from strip-harvesting because, in strip harvesting, a strip of skin is removed from the patient and then dissected into many individual follicular units. The follicular units obtained by either method are the basic building blocks of the Follicular Unit Transplantation (FUT). The results will mimic the way hair grows in nature and will be undetectable as a hair transplant. The duration of the procedure depends on the number of hairs being transplanted, but on average takes 4 or 5 hours. It is typically performed in our surgery center with local anesthesia and is generally very well tolerated. 1. During the preliminary consultation, your surgeon will take a thorough medical history, as well as assess your mental and emotional attitudes toward hair restoration. Because a realistic attitude is crucial to the success of the procedure, realistic expectations will be discussed. 2. He will examine your hairline and scalp and even may take a sample of your hair or scalp skin. Immediately after the procedure the sites of the transplanted hairs are visible as very small wounds. These heal quickly, and within a few days are no longer distinguishable from the surrounding skin. In fact, patients are encouraged to wash their hair the day after the procedure. The very small wounds can be camouflaged by surrounding hair, if there is still some in the area. Patients are allowed to wear a loose-fitting cap if they like. FUT: This method results in a linear scar in the donor area, patient will heal with a fine straight scar that will be undetectable as long as patient leaves hair ¼” long. FUE: This method leaves circular scarring, which is less apparent than a linear scar, allowing the patient to wear their hair shorter. Follow-up care is vital for this procedure to monitor healing. Obviously, anything unusual should be reported to your surgeon immediately. It is essential that you keep your follow-up appointments. Your health insurance is a contract between you and your insurance company. Most health insurance does not reimburse for surgeries that are purely cosmetic. However when hair loss results from an accident, a burn, or other trauma it may be covered in part or in whole. Please check with your insurance company for information regarding their coverage for your procedure. If you are experiencing hair loss or thinning hair, request a Complimentary Consultation online or call our office at (727) 400-4768 to see if hair transplantation is right for you.